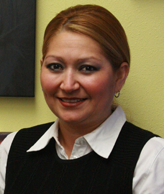 Hi, my name is Carmen, and I am the office manager at Claremont Orthodontics. I have been working in the orthodontic field for almost 20 years and with Dr. Vadecha and the team for about three years. I love helping people; that's what inspired me to work in orthodontics. When our patients first come to our practice, I like being able to make them feel welcome, and letting them know that they are going to be well taken care of and receive the best care possible. Seeing our patients smile is the best reward! Outside of the practice, I enjoy spending time with my family. My husband, Ulises, and I have five children, Rudy, Anthony, Julissa, Chelsy, and Yanira. We also have two pet dogs, Skittles and Jack. Most of my free time is spent with my family, but I also enjoy cooking, playing soccer, and volunteering with my church. Hi, my name is Jessica, and I am the office manager for our Lakewood practice. I have been working in the orthodontic field for a few years now, and I still enjoy being able to talk to our patients and answer any questions that they may have throughout their treatments. Being able to watch all of the changes that our patients go through during their treatments is always inspiring. I respect our entire team and the work that they do for our patients. I have a great amount of confidence in our practice, and I know that each patient who starts treatment with us is going to leave with a beautiful, strong smile. I have lived in Los Angeles since 1984. My husband, Mario, and I have three children. As a family, we enjoy going to the beach and spending time together. In my free time, I like reading, playing basketball, and playing volleyball. Welcome! 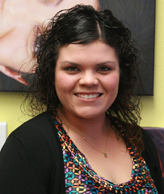 I am Erika, and most likely the first smile you will see when you visit our practice. 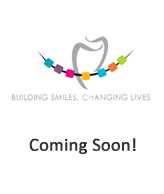 I have worked in the orthodontic field for over 7 years, and in 2007, I joined Dr. Vadecha and the team. Orthodontics is the best! I truly enjoy what I do, especially interacting with our patients and being surrounded by great smiles all day long. I appreciate the confidence that our patients have in the team and me, and it means a lot to know that I am able to help give them smiles that last a lifetime. When I'm not at the practice I enjoy playing softball, soccer, and I play the guitar. I have a puppy named Bubba, who keeps me smiling! I also enjoy spending time with my family and friends. Hello and welcome! My name is Laura, and I am the receptionist at our Lakewood practice. I enjoy working in orthodontics. There's always something new learn, and I appreciate being part of a team that is willing to share their knowledge and experience with me. I love seeing how happy our patients are as they progress throughout their treatments, and especially once their treatment is complete. It's a great feeling knowing that I am able to help them as they go through this life-changing experience. Everybody who comes here for treatment always leaves with a beautiful smile! I have lived in Bellflower since 1992, and I am originally from San Pedro. I have two children, Mariah and Vanessa, and two stepchildren, Mia and Jordyn. I feel fortunate to come from a big family, and I get together with them often for barbeques, birthday parties, and just to hang out. In my free time, I like watching movies and going swimming. During the summer, my kids and I go to the beach together. We like to pack our lunches in a cooler and spend the day boogie boarding and having fun. Hello, my name is Martha, and I am a registered dental assistant. I have enjoyed working in the dental field for over 25 years. I have a delightful husband, three wonderful children and three grandchildren with one on the way. I enjoy cooking and spending time with my family. As you and your family become a part of our office, they too will be treated with the same kindness and compassion that I show to my loved ones. Being able to help create brighter smiles as a part of my career and daily life is enlightening to me. The best part about my job is that every day i get to see the confidence that a wonderful new smile can build. be rest assured that you and your family are in wonderful hands here at Claremont Orthodontics. 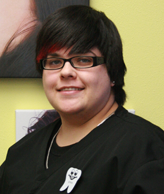 Hi, I'm Jackie, and I am registered dental assistant and patient coordinator. I enjoy working in orthodontics, particularly getting to see how happy our patients are to have a beautiful smile once their treatments are complete. I look forward to getting to know our patients. When patients come in to the practice, and are happy to see me, it genuinely makes me smile! Seeing our patients throughout their treatments as they grow and mature is a very rewarding experience. I don't only see patients when they come for appointments; I get to spend time with my friends! I am originally from Riverside, but I have lived in Corona since 1995. I have three children, Victoria, David, and Olivia, and we have a puppy named Oreo. When I'm not at the practice, my kids keep me busy between sports games, dance classes, and cheerleading. I enjoy spending time with my family, especially going to the park, swimming, and visiting the beach. Hi, I'm Andy! 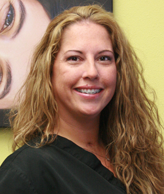 I am a registered dental assistant, and I have been working in orthodontics for over 10 years. Working with Dr. Vadecha and the team is such an enjoyable, rewarding experience. This is a great practice, and great group of people who work hard to make sure that our patients smile. I enjoy working with our patients as well. Each patient is so special, and so unique; every day there's something to learn from our patients and great smiles to be shared. I am originally from the Vietnam , and have lived in California for over 10 years. I enjoy exercising and traveling the world.